Your Apple AirPods are precious, and so is their charging case. 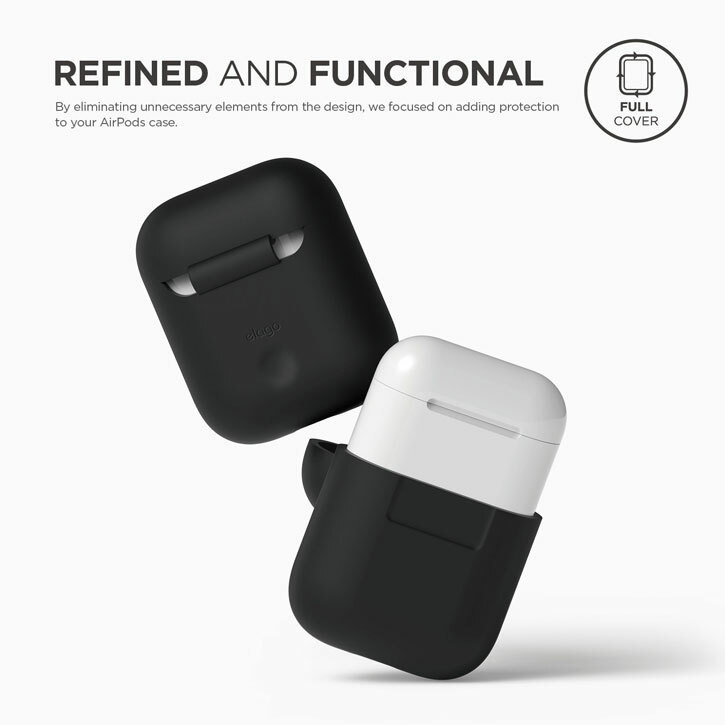 When you've invested in these stylish, elegant earphones, why scrimp on protection for them? 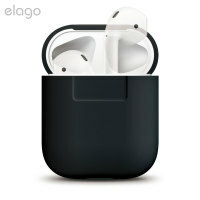 This silicone case from Elago envelops your AirPods in their charging case, adding an extra layer of flexible protection and keeping your earphones safe from scratches, knocks and whatever else life throws your way. 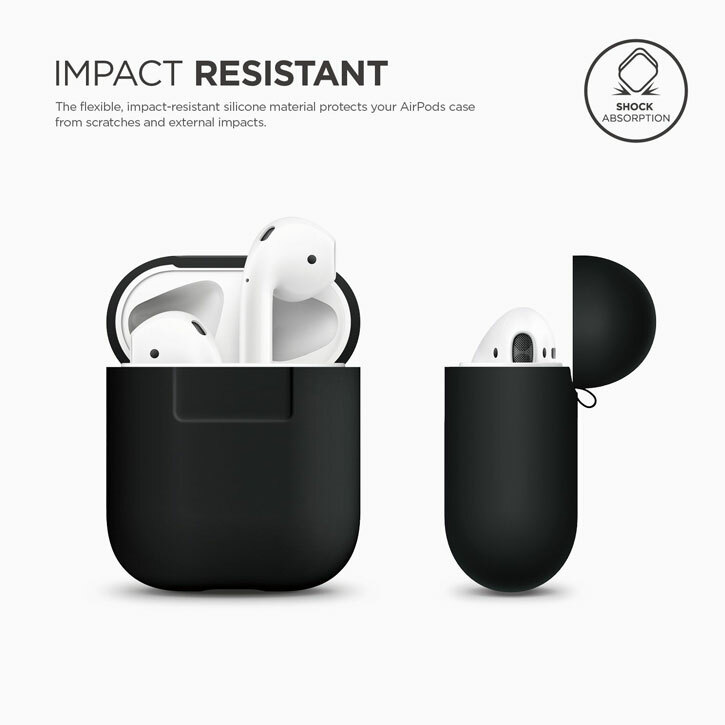 The Elago AirPods case is constructed using high-quality flexible silicone which adds superior scratch and buff resistance to your AirPods and their case. 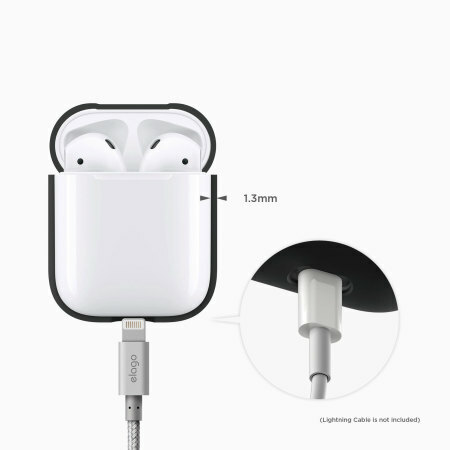 You won't need to worry about carrying your earphones in your backpack, handbag or pocket again. 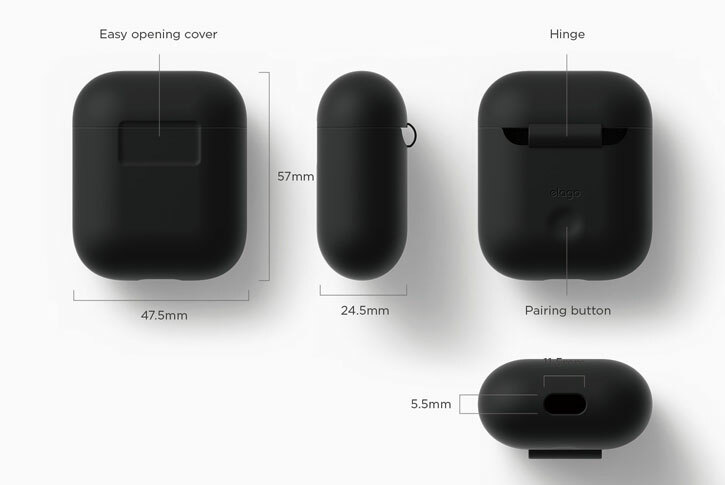 The slimline, sleek material used in the manufacturing of this silicone case ensures you'll barely even notice the difference once applied to your AirPods - that is, until a wayward key or coin brushes the case and you breathe a sigh of relief, knowing your AirPods haven't suffered any damage. Utilising the same minimalist elegance Apple has used to create the AirPods, Elago has crafted a case which actively enhances the earphones' aesthetic. You won't just enjoy the added protection of this case - you'll also appreciate the design and quality of the material, too.